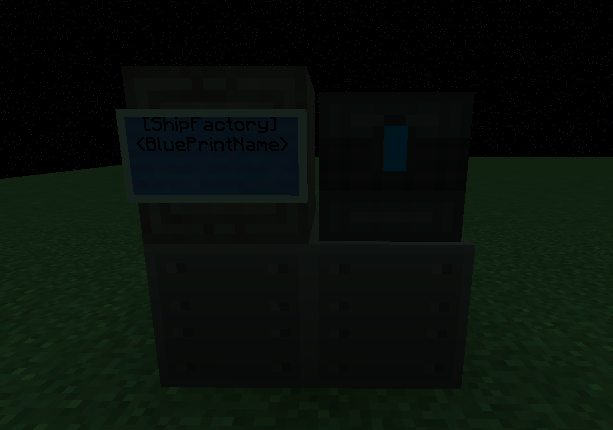 Blueprints are files that store the data of ships, reproduced using ship factories. Saving blueprints of ships you didn't design (without permission) is illegal!! 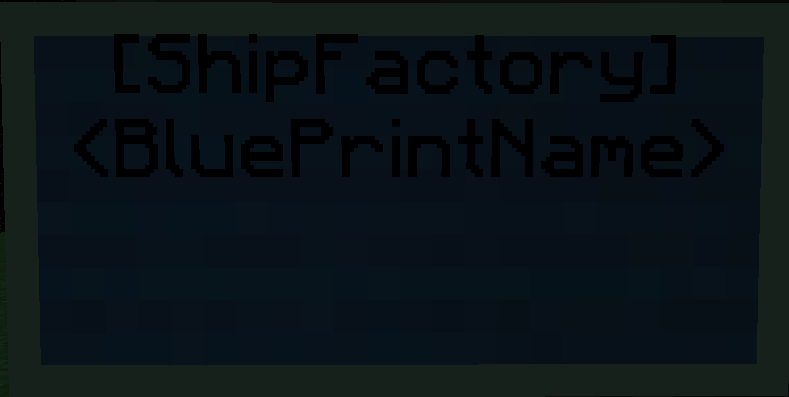 You can make a blueprint from a ship by piloting it and using the command. 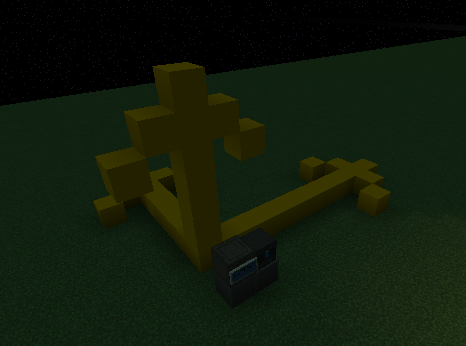 A ship factory is a machine that automatically builds a ship in front of you. There are two types of ship factories - Credit Factory, and Material Factory. Both types of factories have the same multi-block and mechanics. A Credit Factory takes credits out of the user's money and uses it to make materials. The cost is based on the cost of the material. To make a Credit Factory, place a golden ingot/block/nugget in the furnace bottom slot and a focusing lens in its top slot. 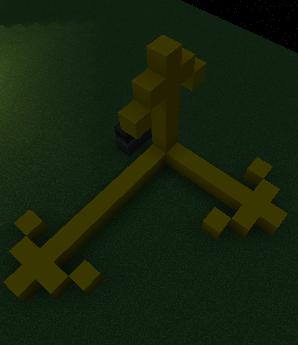 A Material Factory, takes materials from the multiblock's chest and prints the ship, taking blocks from the chest and placing them down. To make a Material Factory, place a focusing lens in the bottom AND top slot of the furnace. First, make sure you have the name of the blueprint. If you forgot it, check /blueprint list. You'll need enough free space to print. Factories print above, to the right, and in front of the furnace.